Manufacturer and supplier of desiccant (adsorption) dehumidifiers and desiccant cooling equipment. DehuTech AB™ is a Swedish company that exports desiccant (adsorption) dehumidifiers to countries outside Sweden. The desiccant dehumidifiers are developed, designed and manufactured for the demanding Swedish desiccant dehumidifier market. The desiccant rotor, which is patented, is manufactured in Sweden. DehuTech AB™ has representatives in several countries around the world. DehuTech AB™ also manufactures and markets components for desiccant cooling applications. These components are marketed directly by DehuTech AB™ to producers of air treatment units. DehuTech AB™ is a subsidiary of Fuktkontroll AB™, Sweden, who has been active in the domestic Swedish market since 1980; marketing, selling and manufacturing desiccant dehumidifiers and turnkey dehumidification systems. In dry air storage an adsorption dehumidifier keeps the relative humidity at the desired level all year round regardless of the temperature. Basic dry air storage only requires an uninsulated, reasonably airtight, building fitted with a dehumidifier. Steel and other metals, wood, paper, pulverised products, military equipment are just a few examples of items possible that can be stored safely and at low cost. 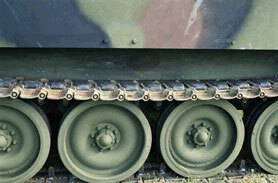 Dehumidifying of amunition storage, and preserving mothballed vehicles were some of the first applications in the military field. Since then the number of applications has multiplied several times over covering everything from submarines to fighter aircraft. 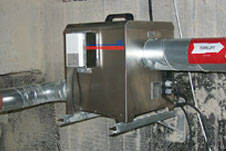 Small arms, tanks, vehicles, radio- and radar installations, underground rock cavern storage can all benefit from dehumidification techniques. Archives for photographic film must be kept at low temperature and at low relative humidity, typically + 2 ºC, 30% RH. A controlled climate with stable relative humidity is also vital to prevent art collections, old documents, textiles, books etc from being damaged by the ravages of time. Being able to supply dry air inside industrial facilities and buildings is an important capability. 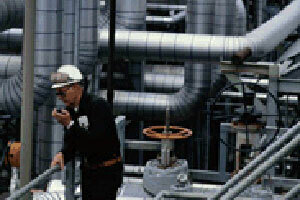 Power plant boilers, piping, steam condensers, tubines and bridges are examples of dry air corrosion protection methods. Buildings that have suffered flooding or moisture damage can often be made fully functional again after drying out with dry air. For manufacture of certain electronic equipment extremely clean, but also dry air is needed. For example we have supplied desiccant dehumidifiers and temperature control for products temporarily stored at 2 % RH 15 ºC, between different stages in a production process. Adsorption dehumidifiers make it possible to produce pharmaceutical products all year round in a controlled dry atmosphere. Adsorption dehumidifiers increase production capacity in spray dryers and fluidised beds that are used, for example, in the food industry. Breweries can avoid mould and condensation on cold surfaces by using adsorption dehumidifiers. Perhaps none of the above applications fit your specific demand for drying or maintaining a controlled dry air environment. We have experience over a range of applications, everything from underground rock cavern storage to the drying of mushrooms and ostrich eggs. The solution to your moisture problem might be an adsorption dehumidifier!